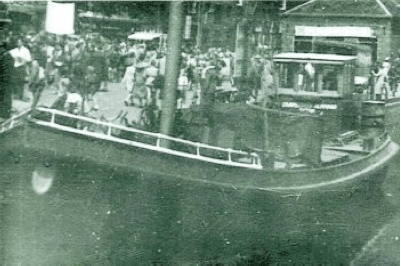 Catharina Elisabeth was launched either in 1915 or 1916 from the Czaar Peter shipyard in Zaandam, NL. 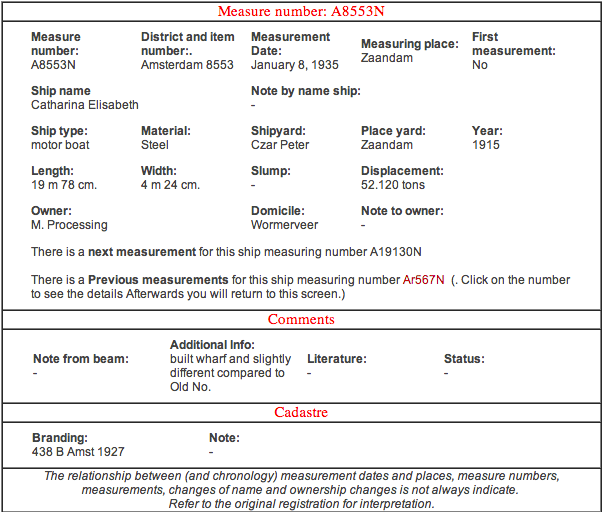 The measurement was organised by Mr P. Zermeriks, in Wormerveer. The original owner was Pieter Maartensoon Verweer, whose wife was Catharina Elisabeth (Koster) Verwer. She was first measured on May 8, 1916. 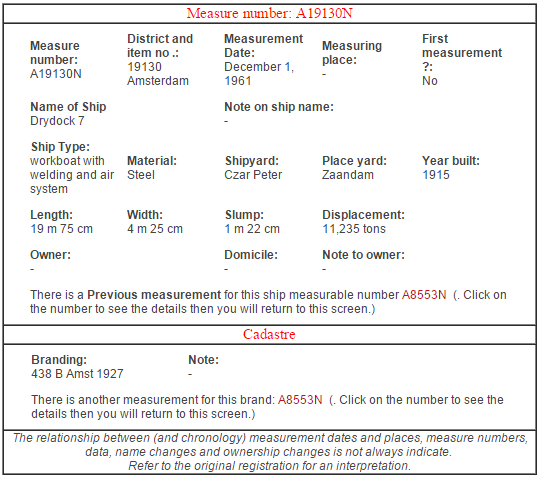 Her length was 19.78m, beam 4.24 m and her displacement was 52.6 tons. 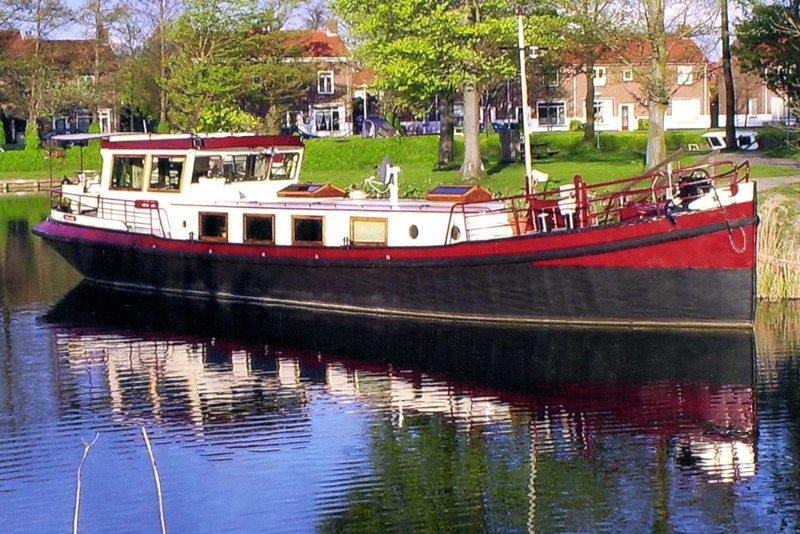 According to the last owners, she was engaged in transport around the Alkmaar region, carrying cheese. Catharina Elisabeth was again measured in 1935, when the owner was Maarten Pietersoon Verwer, the second son of Pieter Verwer. On this occasion, the date of launching was stated to be 1915. 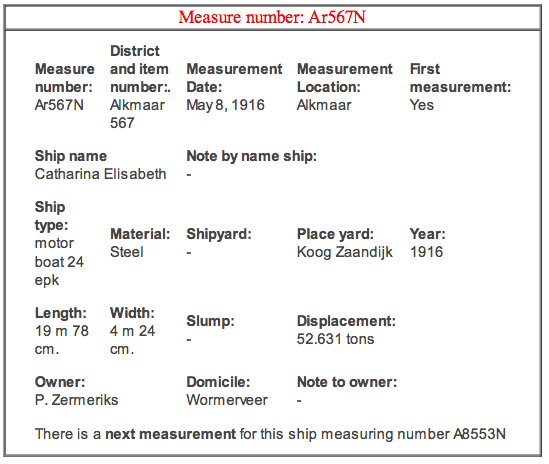 A further measurement was taken in 1961, and was now owned by the Amsterdam Drydock company, and had the utilitarian name of Drydook 7 From the name and description alone, perhaps Catharina Elisabeth at this time was involved in some sort of servicing work for the several drydocks that were run by the company. What happened from this time, until 1980 is, as yet, unknown. Again, details are not certain, but perhaps the next owner was Mr Herke Boskma. One of our tasks is to try and contact him as the most likely source of information about Neo Vita’s past. The previous owners of Neo Vita note that she was taken out of trade and rebuilt into recreational use in 1980. The last owners, Marriane van Barr, and Paul Bot totally refitted her and named her Neo Vita in 2000. Until we get a chance to include our own photos, the ‘for sale’ document here contains the technical information, and a number photographs of Neo Vita that give a solid impression of what she can do, and what she looks like.